A lot had been said lately about running Linux on PowerPC and it reminds me a lot about the argument of PC’s vs Mac. Some people defend their favorite OS to death and they’re so passionate that it’s hard to talk about it without offending someone. Lovers and haters! Anyways, I just wanted to post this NOTE for the unknown reason that we feel the need to position ourselves and our ideas to our readers to make sure that you guys understand where we stand in this “some people drink pepsi some people drinke coke” kind of thing! A long time ago, we made a post about Linux and we never released it because we positioned ourselves to the Mac OS X system, but we do like Linux a lot! The main reason is because Mac PowerPC likes everything that is FREE/OPEN SOURCE and for this reason we always try to dig deep to bring everything low/no cost for our readers. So let’s give a thumbs up for Linux: For Human Beings! Also is a great OS. I have to mention here that we decide to step up about linux because we didn’t want to mix material Mac/Linux mostly because this blog is entitled Mac PowerPC not Linux PowerPC. Other strong reasons include our belief that there are great blogs already taking care of the Linux world. I strongly recommend checking out places like PPC Luddite http://ppcluddite.blogspot.com and PowerPC Liberation http://powerpcliberation.blogspot.com , these guys have great material on line and “step-by-step” instructions and other great information. I have to tell you that they are working hard on Linux material to bring to you tips such as how to partition a hard drive, software installation and everything else under the sun. They are very familiar with the OS so you can not go wrong and in the event that something does go wrong, you can send them a comment and they will be more than happy to clarify for you. Awhile ago, I installed a nice distro called Kubuntu in an old Sony Vaio and I really liked using it. It was very user friendly and the most important thing was that it was very secure. I felt very safe using that OS and nobody can take that feeling from you. We understand that using an OS like Tiger/Leopard is not as safe as any Linux distro but the goal of Mac PowerPC is to point out applications and adventures of using the Mac OS X. We are aware of the safety and we are aware that we are not getting any new updates. Today even Snow Leopards are left in the dust…imagine poor old Leopard! But again the Blog will keep searching for things to do with your PowerPC and installing Linux is one great option to do/try/play. But we decided to leave this legacy to people that know what they are doing and those blogs listed above know best. But please don’t kill your favorite Feline for a Penguin, I think and believe that there is space enough for all of them on your hard drive. All the blogs listed are also on our “RECOMMENDED” page. We really believe in their material and we try to check them out on a regular basis and provide you with relevant information from their blog. We don’t believe in copying anyone’s material but for the sake of bringing the best material to the PowerPC community we will often reference their posts also check our Facebook/Twitter. P.S. : At the moment it looks like Zen are very busy with other projects like helping a client to develop OpenBSD cluster software, but he didn’t leave his legacy just yet! He keeps writing material and apparently now is counting wiht a help from Dr. Dave! Believe me, in knowing Zen for short period of time, I know he won’t share his blog if Dr. Dave wasn’t competent enough to “run the ship”. I totally believe that Dr. Dave won’t leave the PowerPC Liberation’s readers with questions, as far as I have been following his posts are great. Talking about great…let’s show some love to PPC LUDDITE! The guy behing this blog is great – he brings a lot of great information to the community and if your PowerPC still works, then a visit to his site is a must! I like Linux. I have Ubuntu on my old netbook. It is a nice system, but quite heavy for my netbook. I would not consider to install a recent Linux-distro on my iBook G4 since it would run to slow. Leopard is not running very fast, but it is still ok though. Of course I could use on older distro, but then I prefer Leopard (which is quite modern) over an older Linux distro. Ubuntu is however the best choice for PC-users, much better than Windows. Ubuntu is beautiful, has a very good and logical GUI and is not so annoying as Windows often is. And last but not least: you can feel the firm base underneath (Unix). I mean not disrespect at all when I say that your entire comment is full of misinformation and lacks any form of logic, PowerMac4Ever. This is 100% false. Ubuntu and Kubuntu are the only distros that would be slower than Mac OS on a PowerPC. That is because they are both far far more bloated than any other Linux on earth. This is why other versions exist like Lubuntu which is designed for older hardware. Lubuntu performs so much better that it makes standard Ubuntu look like a sick dog in comparison. MintPPC, Debian, Gentoo, Arch etc. all run much faster than Mac OS on the same hardware. No PowerPC user in their right mind would run Ubuntu on a G4. It’s all about light and modern code and Lubuntu/Xubuntu offer that. Running an older distro of any Linux would defeat the whole purpose of running it in the first place. The point of running Linux on PowerPC hardware it that it is the only option for modern secure OS other than BSD. No PowerPC OS X user will ever get any kind of security update ever again. You seem either in denial or ignorant to that. Also, Linux is NOT UNIX. It is inspired by UNIX and is UNIX-like but is it’s own entity. BSD is UNIX. Again, you really have no idea what you’re saying. You also admitted a couple days ago in the Morph post comments here that you prefer computing from the passenger seat. That alone denies you from having a valid opinion about Linux or anything that takes more than pointy clicky talents. I say with no disrespect at all that you are very ignorant about Linux on PowerPC. Why is it always the people who know the least that have the most to say? I am currently working on a post for my blog about people like you who pretend to know things rather than actually learn them from practical first hand experience. your entire comment is full of misinformation and lacks any form of logic, PowerMac4Ever. You seem either in denial or ignorant to that. Again, you really have no idea what you’re saying. That alone denies you from having a valid opinion about Linux or anything that takes more than pointy clicky talents. you are very ignorant about Linux on PowerPC. you who pretend to know things rather than actually learn them from practical first hand experience. zen, I agree with many of your points but shouting at someone over the internet is not going to help anything. Your points and thoughts are totally valid Zen and I agree completely, but your tone is rather acerbic and probably puts people off. I consider the owner of this site a friend and I would be doing him and the PowerPC community a disservice if I didn’t correct such misinformed comments. Comments based on pure ignorant speculation rather than experience or know how. Anyone who has ever read my blog knows I don’t mess around when it comes to misinformation. It is the cancer of the tech writing/advice world. This wonderful site is part of the truly good PowerPC writing community and as a friend to the owner I will always help him. Correcting incorrect comments is part of that. Forthright is all I know or have time for. I am not calling anyone a name and I am stating nothing but the honest unfiltered truth. nice post, i been following this site from a couple of months ago, wen i bought a PowerBook G4, it`s been a great help for put my Mac the most up-to-date. 3 weeks ago i just installed in the same disk (80gb) a Linux distro, from a friend recomendation i choose Xubuntu 10.04, and i can say that is a great distro, runs very good on this Mac, it`s true that i have some problems with the keyboard and some bugs, but all this were allready supported by the comunity. I just wanted to share my personal experiense about Linux ON PowerPC, and say thanks for all the help, you are doing a great job. 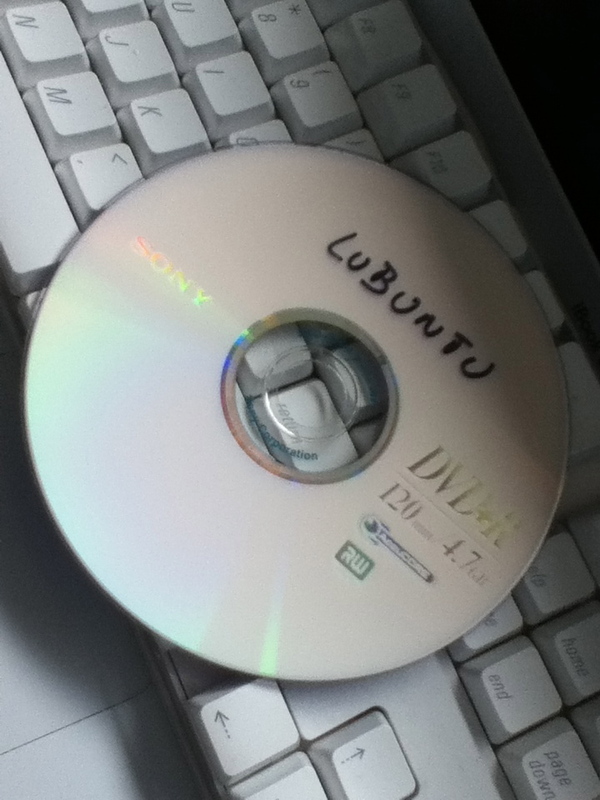 Lubuntu would be better but Xubuntu isn’t too bad. However, a dual boot OSX – (X)Ubuntu might be interesting for certain purposes. Are you on some mission to convince people to run unsupported and insecure OS? Why are you so eager to share how little you know? A bit of shame and self awareness could help you a great deal my friend. I say that with kindness in mind. He’s already running Leopard and Xubuntu. That’s right. I use Leopard, Ubuntu, Xubuntu and tried other distros as well. For daily usage I need to have Office 2008 since I have to be compatible with Windows-users at school (believe me I tried Open Office, LibreOffice and NeoOffice, but I always seem to have compatiblity problems in Word docs with complex lay-out). I also maintain several websites on iWeb. iWeb and Office are the main reasons why I keep Leopard as my main OS on my Powermac (MDD 867Mhz 1,5GB). But I also like to use Xubuntu which I have as a second OS on my iBook and my netbook is running the latest Ubuntu. I like Linux, especially since most distros are free. Ubuntu distros are my favorite: I like the black interface, the global menu, the ease to install apps, etc. It would be nice if it would be possible to run iWeb on Ubuntu-distros. Well, dual booting Tiger (Leopard way slower) and #! OpenBSD on my windtunnel G4 – both have their place. OS X for commercial apps and light browsing using OmniWeb/TenFourFox and *BSD for when I need to pay my bills. I would like to have my old Powermac 350Mhz ADP 1GB to have a faster life… 🙂 At the moment it has Tiger as a primary OS, running ok, but slow. Which Linux-distro would make it run faster? I don’t use it on a daily basis, I sometimes use it for internet, Java Hot Potatoes, burning DVD, etc. I have two 10GB hard drives in it, so two operating systems might be an option. 4 Good Web Site Ya Made Here. Very Educational Subject For A Post Keep Up The Interesting Work!. Check Out My Free Winnipeg Computer Repair Blog And Tell Me What You Think!! !